Volunteering Makes the Perfect New Years Resolution. Volunteering makes the perfect New Years Resolution because volunteerism provides countless benefits for community, and the health and happiness of people who commit to sharing themselves as a volunteer. 1. Volunteering has been linked with increased levels of happiness and decreased depression. The Huffington Post Article, Volunteering Could Boost Happiness, Decrease Depression And Help You Live Longer: Study, written by Sara Kondrath, PhD, reviews new research into the topic of volunteerism, health, and happiness. 2. People who volunteer report physical, mental, and emotional health benefits. Doing Good is Good for You, A United Health Group study reveals key benefits of volunteering that make a positive impact on people’s health including feeling better mentally, physically, and emotionally. 3. Volunteers help create and support healthy communities. 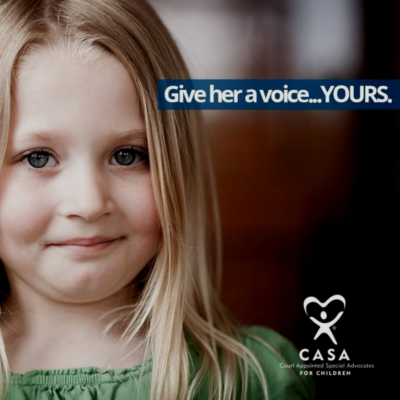 CASA volunteers are appointed by judges to be a voice for abused or neglected children in court and in the community. As a CASA Volunteer you help ensure that children are placed in safe, loving homes where they can thrive. 4. Court Appointed Special Advocate volunteers help make a difference in the lives of abused or neglected children. To learn more about becoming a CASA visit the Volunteer section on the CASA of the Continental Divide website. I Am For The Child in 2017. Volunteering can easily become one of those back burner activities. The type of activity that always seems like a nice thing to do, but loses steam when it comes to reaching out and signing up. Make volunteering a reality this year. Many organizations have made it easier than ever to find opportunities and sign up online. Visit https://www.mtncasa.org/volunteer/volunteer-overview/ to find out all the ways that you can make a difference for abused and neglected children. There has never been a better time to commit to volunteering in the New Year. Help us at CASA of the Continental Divide support children dealing with abuse and neglect find a voice and an friend in an overwhelming and confusing system.